“Chicken scratch”, coined by Shakespeare in 1909? In “Emily Dickinson was a Dinosaur” I conjectured that T. W. Higginson might have been riffing on the idiom chicken-scratch when he described Emily Dickinson’s handwriting as resembling the “famous fossil bird-tracks” of Amherst. Now I’m not so sure. Higginson published his essay in 1891. But chicken scratch and variants aren’t in OED2 or OED3, nor in Webster 1844. In fact “chicken scratch(es)” or “chicken scratching(s)” don’t seem to be current idioms for handwriting until the early to mid-twentieth century. 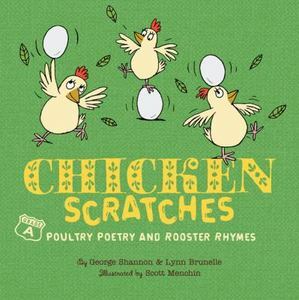 Before about 1910, chicken scratch refers only to a kind of supplementary chicken feed (and here OED has ‘hen scratch, hen scratching’ s.v. hen). Rutland. (aside) Poor fellow, now indeed I pity him ! (paper, pen and ink are brought–). That puts the art of writing to the shame. Perhaps readers can locate earlier examples, or examples in other languages. The French equivalent is pattes de mouche, which isn’t quite close enough. An, opsecro hercle, habent quas gallinae manus? Hey, do chickens have hands? It looks to me like a hen wrote this letter.